We join movements like Sunrise and Justice Democrats in firmly advocating for a Green New Deal bill to be passed in 2021 by a climate-friendly (and realistic) U.S. President and Congress. We also have an opportunity to implement a transformative, historic economic mobilization against climate change - one that provides good-paying green jobs, economic growth, and fairness to all. A comprehensive environmental and climate justice program that's ambitious, pragmatic, moral, and human. If you're with us, we believe it's time for unified, inspired action to create the public awareness and political pressure around climate change that elects Democrats in 2020 who will pass a Green New Deal. 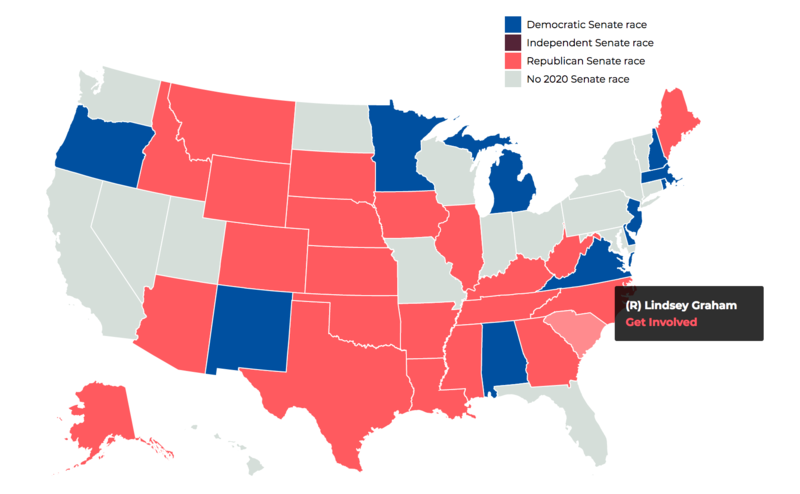 33 Senate seats are up for re-election in 2020, including 22 Republican seats. 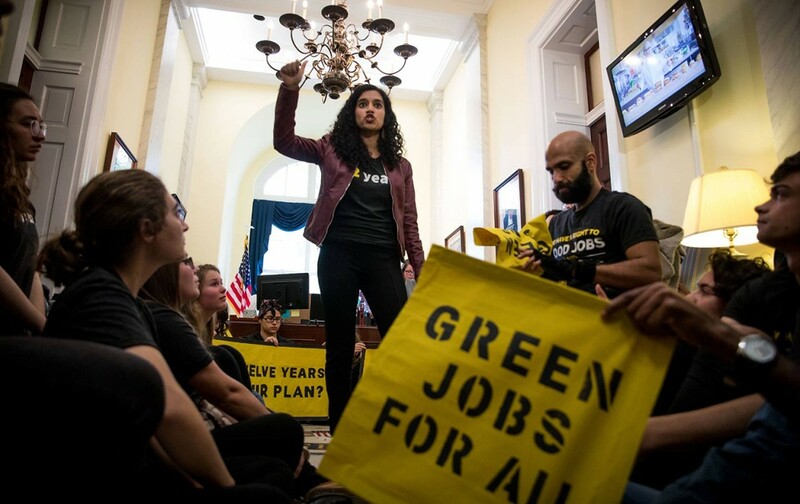 These elections will determine the laws passed in Congress, including a Green New Deal. In addition, we need to elect a president who will take decisive action on climate justice and sign GND into law. 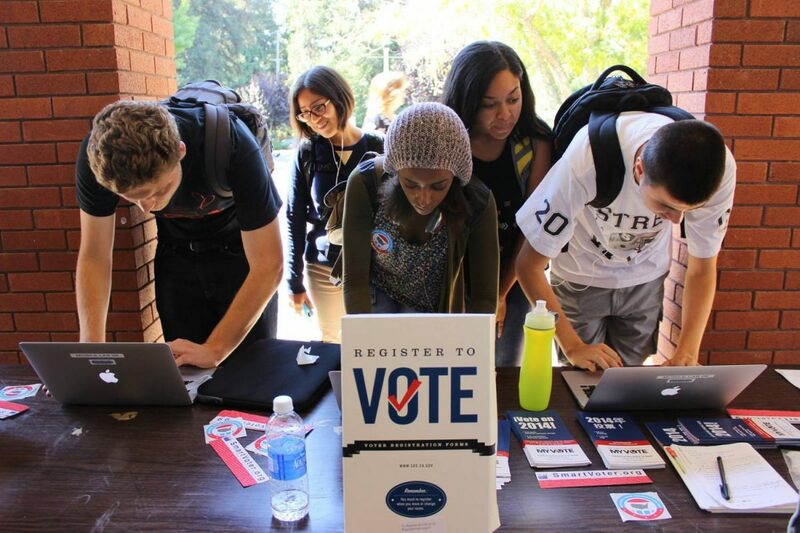 We can help you register to vote right now in 2 minutes or less with our online tool. We can also get you or a friend started when you text 'VOTE' to 774-541-1112. We also have searchable database of progressive climate actions, events, and volunteer opportunities across the U.S. (and Europe too), including Sunrise Movement, Extinction Rebellion, and the 350.org coalition. And, every time you complete a measurable act of good through Brightest, we plant a tree in your honor to double your climate impact. Now that we've flipped the U.S. House and made key state-level legislative gains across the U.S., we now have the power (and a platform) to bring progressive, working class ideals, fairness, equality, and humanity back to Washington, D.C. by finishing what we started and passing a Green New Deal into law in 2021. It's critically important we continue to organize and harness the anger and frustration we all feel about climate change into tangible, grassroots action and constructive political coalitions. That's why we've worked hard at Brightest to curate the best ways you can get involved and support progressive and and Democratic efforts in every state to pass GND. 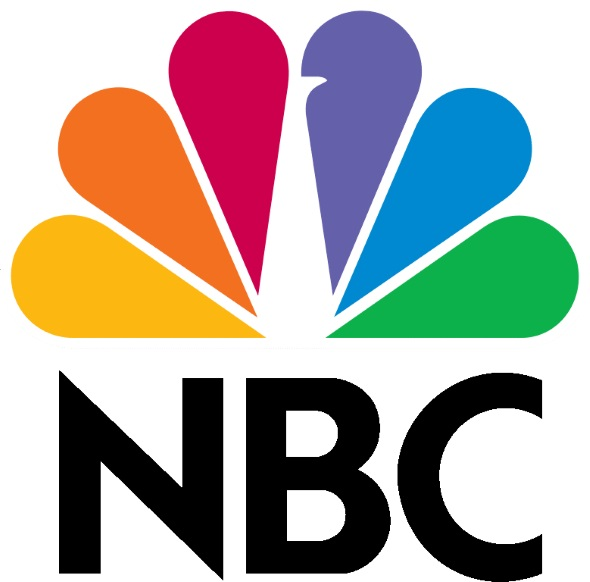 Don't just read the news - let's respond, work together, and do something about it. And if you have any questions or don't know where to start, please get in touch - we're all in this together and we're here to help you. Any questions, thoughts, or replies? Please get in touch or msg us on Twitter we'd be happy to talk to you about them.